I know sense got tossed out the window episodes ago in Spy Myung Wol, which leads me to watch every new episode without any critical perspective. Conversely I’m enjoying it for scenes now, random scenes that perhaps make no narrative context in a greater scheme, but nevertheless work if you just watch it. Nice moments between Kang Woo and Myung Wol. And fricking multiple insanely ridiculously awesome moments between Choi Ryu and Myung Wol. How can they be so cute just going spy fishing? Kang Woo has stopped annoying me because I treat him like he’s just there, having had no real substantive character development or depth since he was first introduced, but a very hot guy that Myung Wol just happens to love. For reasons I’m still pretty baffled by, because by all intents and purposes her chemistry with Ryu and the way he treats her screams OTP to me. Eh, but what do I know, I’m just here to scribble down what happened. Kang Woo proposes to Myung Wol, who isn’t able to accept right away. Because, ya know, her mission, the lives of her fellow spies, her life long dream to follow daddy’s spy footsteps – none of that can be addressed by one simple proposal. Choi Ryu points a gun at Kang Woo’s head and tells him to leave. Choi Ryu tells Kang Woo to love some other woman. Kang Woo throws the same words back at Choi Ryu. After Kang Woo leaves, Choi Ryu reminds Myung Wol not to forget her promise. Spy parents come home schlepping their luggage from the airport, yet another possibility to return to their homeland that ends up in disappointment. Chairman Joo orders his lackeys to keep looking for the Four Books. Choi Ryu assembles the Four Books and discovers something that intrigues him. Kang Woo meets up with Myung Wol alone and hands her the engagement ring. He takes her to the Han River to point out the happy lives of people living in South Korea, and her future secure here as a movie star already. He extols her to live her life not for combat, but to love and be loved, by staying here with him. The spy parents realize now that Choi Ryu likes Myung Wol, bemoaning that male-female love triangles are more complicated than North and South Korean politics. Choi Ryu finds Kang Woo and warns him to stop swaying Myung Wol with an offer of marriage that will only destroy her by ruining her mission and her goal in life. Choi Ryu goes to Myung Wol’s apartment and confesses (FINALLY!) that he’s in love with her, wryly saying that this confession is harder for him than any mission he’s undertaken. He asks her to marry him. They can go back to North Korea together with the books and use it to bargain for their lives for failing the grab-a-Hallyu-star mission. Myung Wol goes to see Kang Woo and declines his proposal. 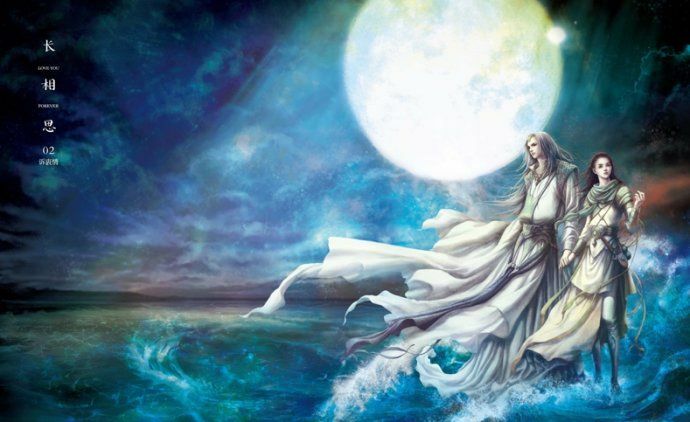 It’s not enough for her to overcome all the obstacles in their path. There are too many things that are so insurmountable for them. 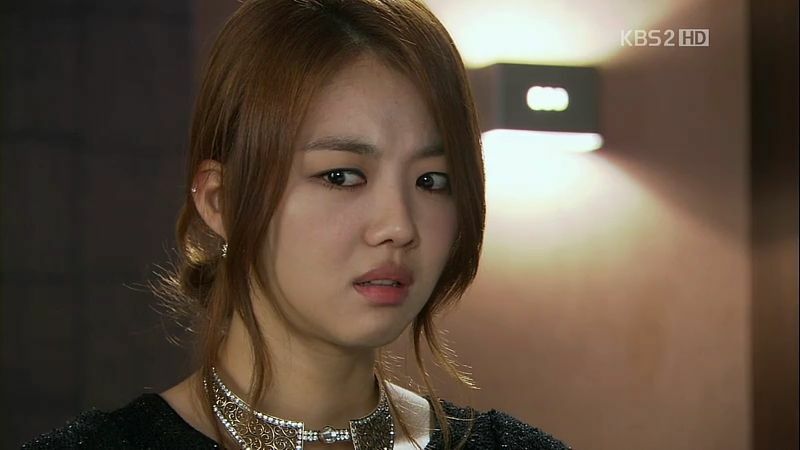 She doesn’t want to betray her homeland and her comrades for Kang Woo. She longs to return to her homeland. She thanks Kang Woo for loving her, explaining that she will never forget him. Once she leaves, she tearfully cries outside. 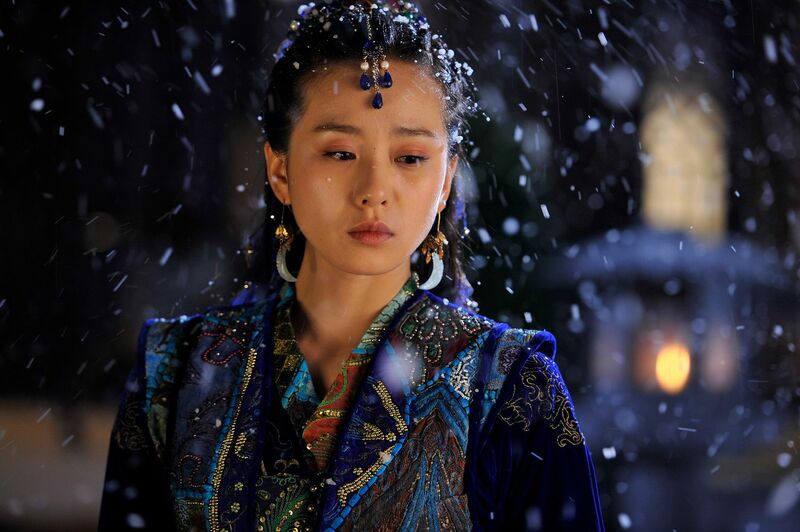 In Ah overhears her grandfather plotting to get back the Four Books and discovers Choi Ryu is fine for the time being. In Ah is happy about that and wonders if she likes Choi Ryu? Myung Wol meets with Choi Ryu at the rooftop and accept his proposal, telling him she wants to go home with him. Choi Ryu happily tells the spy parents that they will go back to North Korea with the books and get the forgiveness of the government for failing this mission. Choi Ryu smiles broadly as they are packing up to leave, leading the spy parents to notice how happy he is. Kang Woo waits outside Myung Wol’s apartment to try and convince her not to go home, asking to hear her true feelings. Myung Wol says this is the only choice she can make. Spy daddy hears from Dae Kang how much money the South Korean government gives to people who report North Korean spies, and he starts to see Won signs. The spy family are at the pier to try and leave but cannot because it’s swarming with South Korea agents. Kang Woo finds Myung Wol and convinces her to stay. Choi Ryu sees this and understands Myung Wol’s heart lies with Kang Woo. Choi Ryu tells the spy parents he’s headed back to North Korea without Myung Wol, and the spy parents can come with him or stay here. Kang Woo goes to meet with the Chairman, who continues to use Myung Wol’s spy presence in South Korea as a threat unless Kang Woo gets him the Four Books. 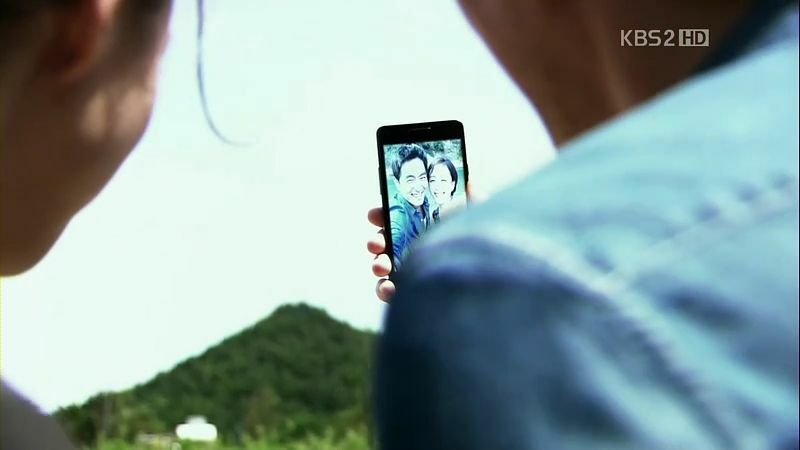 Choi Ryu and Myung Wol go on a fishing date at the lake as he asks for just one day of her time. They are so insanely cute together, this scene might just be worth the brain hurty of watching SMW for the last few episodes for me. Ryu gives up trying to catch the fish with his fishing pole, instead telling Myung Wol to help him block any escape path, while he plunges his hand into the water and catches the fish barehanded. And when he does, he’s so so happy, like a kid in a candy store. Myung Wol looks about as cheery and carefree as I’ve ever seen her look in this drama. They sit down to eat a fresh fish stew cooked from the just caught fish. Choi Ryu holds up his cellphone to take selcas of himself and Myung Wol. She laughs that she’s never seen this side of him before. I’m totally crying here for the guy. Dude, you should have never ever let her out of North Korea. Choi Ryu drops Myung Wol off and tells her that he’s letting her go. He thanks her for bringing him happiness today, and he wants her to pursue her own happiness. He knows he’s not the guy who can bring her happiness, so he will go back to North Korea and smooth things over for her. Myung Wol hugs him goodbye with tears in her eyes. After she gets out of the car, she runs into Kang Woo’s arms for a hug. In Ah meets up with Choi Ryu for drinks. He piggybacks the drunk In Ah home as she tries to hang out with him longer. Myung Wol and Kang Woo sit on the roof and plan out their future. He puts the ring on her finger and tells her to turn herself in. Once she gets asylum from South Korea, she can marry Kang Woo. He lays down on her lap and dreams about a future where they wake up to kisses and having cute kids together. Chairman Joo threatens Kang Woo with turning Myung Wol in, so Kang Woo calls Choi Ryu to ask him to turn over the Four Books to the Chairman. Choi Ryu goes to meet the Chairman and gives him the Four Books, asking the Chairman to leave Myung Wol alone and to allow Choi Ryu to leave the country. Choi Ryu has kept an electronic copy of the Four Books so he’s in good shape. The Chairman sends the Four Books out to be analyzed. Kang Woo and Myung Wol go to take wedding pictures. Kang Woo is stunned into silence when he sees the beautiful Myung Wol wearing a wedding dress. Choi Ryu is getting ready to board the plane when he gets a call and finds out the North Koreans have sent someone to eliminate Myung Wol. He races to stop the assassination. Kang Woo and Myung Wol are taking wedding pictures outside in the courtyard. Kang Woo sees the sniper and turns to shield Myung Wol from the oncoming bullet. Really. The trained North Korean spy does not see the sniper, but the Hallyu star with a penchant for sunglasses does. Kang Woo is shot in the back as Myung Wol stares in shock. Thanks a lot Koala for the recap..can’t wait to watch the back to back finale..you are fantastic.. If you think about it, Ryu and Myung-wol as an OTP is way more interesting and rife with potential conflict and angst. So much so that even though Eric is a way better acting, we’re all shipping Ryu. Poor Eric. Maybe he should have stuck with Poseidon, after all. Here’s hoping that it doesn’t take after Iris and Athena in the script / story development department and Athena in the ratings. happa~ i agree with you..wish they could end up together..
Aww… Choi Ryuuuuu!! Noooo!! My heart’s broken into thousand of pieces and is now scattered on the floor. >.< Poor guy. He doesn't deserve this. Yaaaaa everyone dies! When I first started watching SMW, I was hopeful. Now I am just watching it for it to end. This was just so so so so bad. Wait this is a comedy right? I am so confused that i can’t tell anymore. You know what i just can’t wait for it to over so a new drama can start, geeeeeee. hehehe..he must have possessed excellent eye sight! “The trained North Korean spy does not see the sniper, but the Hallyu star with a penchant for sunglasses does.” bwahahahahah!!! yay! 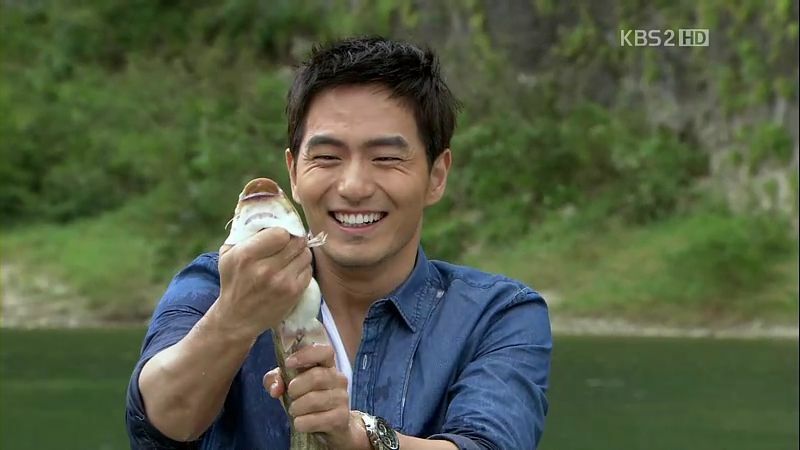 i was insanely happy with that fishing date of choi ryu and myung wol but Lord, it was short lived. gah! still, i’m hoping for a happy ending for my poor choi ryu. it was an insane ride for spy myung wol! thanks for the recap koala..BTW, I’m kind of interested to know your opinion about The Princess’ Man so far….I’m really digging into that drama right now..
well, it really is painful to watch Choi Ryu happy, coz we know its short lived, and i loved his smile, i wish they give him more characters where he gets to smile atleast once in each episode. Also he laughed and cried in the same episode – may be this is life, i am so mad that as stupid as Myung wol is, in real life and in reel life, she does not see the real love of Choi Ryu. well two more episodes tomorrow and we can lust for Poseidon?? Loyal WooWol shipper present! I feel for Ryu but at the same time the heart wants what the heart wants. I actually think Ryu and In Ah would make a cuter couple, she obviously likes him. Ugh the ending scene gave me chills, two more episodes and it’s over :,(. 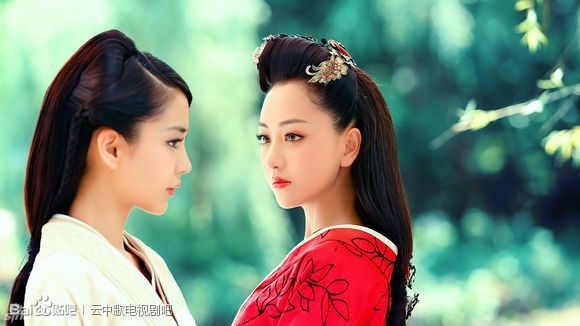 I honestly wouldn’t mind if they killed off one or both of the leads, they’ve been hinting about it throughout the drama. But City Hunter did too and no one died so yeah LOL. It could really go either way. Still predicting they’ll kill of Ryu. Except City Hunter did kill someone off – the beloved Prosecutor! I hope SMW doesn’t go that direction though; if Kang Woo dies, the whole drama is moot. JUST KILL HIM!!!! !…and let her stay with Ryu…I will be soo happy…cause I believe that MW can fall in love with Ryu down the line and have a happy marriage with many babies. venus~ agree with your comment..hope they stay together and live happily everafter.. I was shipping Ryu in the beginning… it’s going to be bittersweet when I watch this. They’re not killing KW, are they? Hmm… well is they kill KW, then MW and Ryu can just go back to NK and marry, lol. When my brother and I were kids we would get our cousins together and put on “plays” for our parents. We’d assign parts and make up our own “scripts”. Our “performances” consisted of everyone pretty much ad-libbing their way through our barely recognizable plot, while our long-suffering parents clapped and smiled like we were the most clever, creative kids they’d ever seen. This is what SMW reminds me of…only with a bigger budget. it is so sad seeing CR cry when dropping MW in front of KW house. Yay for the Choi Ryu and Myung-wol date (Lee Jin Wook’s smile is so cute!!) but it’s also so sad because MW is going to get with Kang-woo. 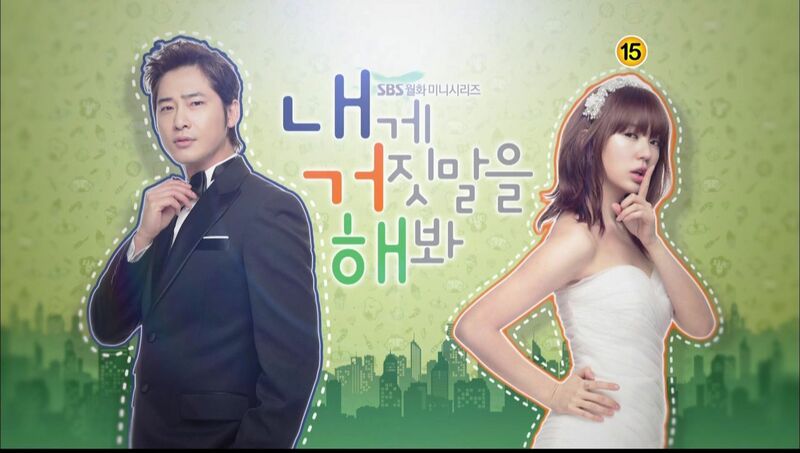 LJW and HYS should do another drama together as the leading couple! I feel “Spy” myung wol is zoned out most of the time, and her acting as spy is very very poor, her constant shock expression look is painful to watch through out the entire episode, and she is stoned faced for most of the series. Wonder why they choose her as an actress for this show. I like In Ah who seem to be a natural with her expression of love, hate , jealousy and stupidity. All i can say is because she is a spy so she has to act like one..and obviously she has never experience being in love and how to act infront of a man like Kang Woo..so i think she fits the character.. I have to say… I’ve given on Spy Myung Wol a long time ago if not for the Myung Wol and Ryu story line. And I agree with you… their chemistry is sooooooo good. Gad. Lee Jin Wook can act like a zombie sometimes but you got to admit he’s one damn hot human species. 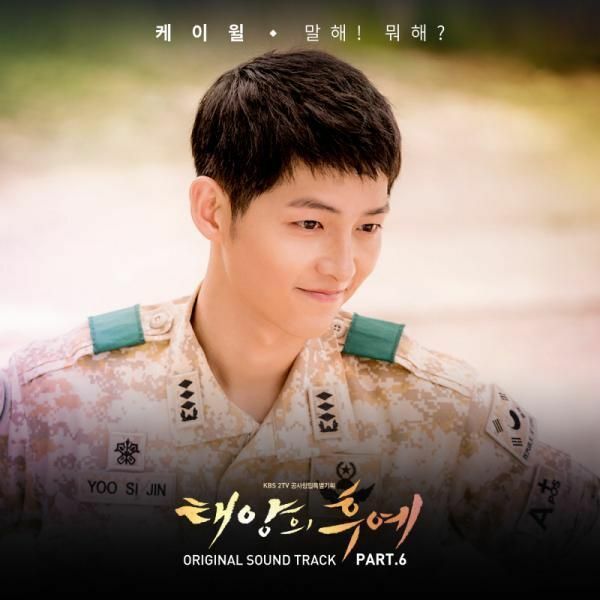 I am cracking up with your comment: ¨The trained North Korean spy does not see the sniper, but the Hallyu star with a penchant for sunglasses does´ …. It´s 2am and I can´t stop LOL, this is why my neighbors hates me! LMFAO! Anon, i love your idea instead. The story should not end up with sniper or gunshot, should write something else which is more realistic in life. Btw, Eric Mun is the best actor in this drama. I never watched his drama or movie before. I just fallen in love with him after seen this drama and now die hard fan of him. His face expression was excellent. Thanks Koala. I agree, what should be the OTP is choi Ryu and MW! i love reading your recaps.. is there any way you may include The Princess Man. It is about to end i think. EVen the last 2 episodes please?? ?